A full-size darling among those who love their SUVs to be brawny and imposing, the current-gen Ford Endeavour has soldiered on unchanged since it was first launched in India. Still a very popular vehicle, for 2019, the Endeavour will be updated and launched on the 22nd of February, 2019. Over the surface, changes aren’t oo comprehensive, what with some honeycomb pattern behind the chrome bars on the radiator grille, some changes in the bumper, a new light brown colour option and differently designed 18″ alloy wheels. On the inside though, the 2019 Ford Endeavour will finally shun the key and replace it with a start/stop switch. 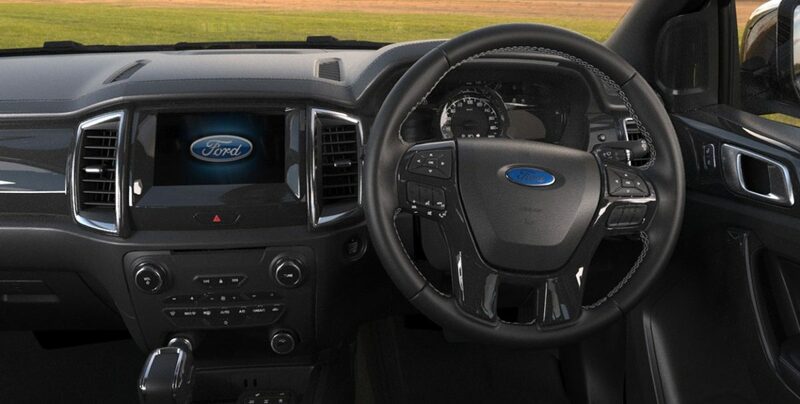 The co-driver’s seat will get power adjustment too, the powered tailgate will let your feet open the door, and Ford’s new SYNC3 technology will grace the infotainment system which will now also be CarPlay and AndroidAuto compliant. The upholstery will go through a colour change where beige and brown will be replaced with black and beige. The 2019 Endeavour will get some new safety features too, which include Autonomous braking when the vehicle detects a collision ahead and a forward collision warning system which will alert the driver of a hazard ahead. The engines powering the current-gen Endeavour will continue to power this updated version too. So the 2.2-litre and 3.2-litre motors with their automatic gearboxes will continue. However, a new 2.2-litre variant paired with a manual gearbox and four-wheel drive is said to be re-introduced. 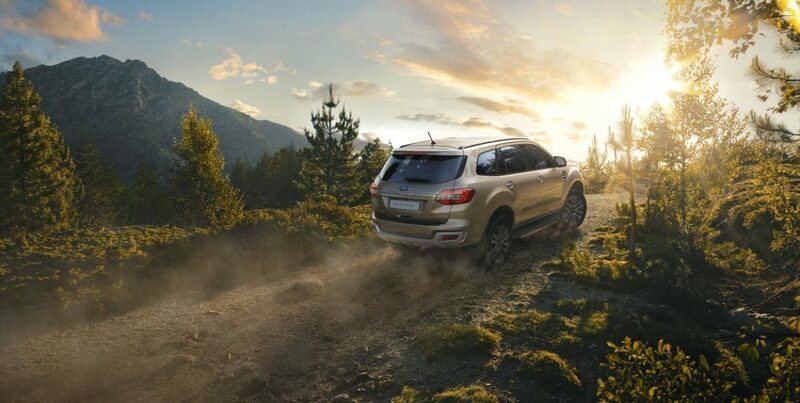 Internationally, the 2019 Ford Endeavour is powered by Ford’s new 2.0-litre Turbo and 2.0-litre Bi-turbo engines which crank out 180 PS, 420 Nm and 203 PS and 500 Nm respectively. These new motors come mated brand new 10-speed automatic gearboxes and have been engineered to be less noisy, more efficient and reliable. Once the new BSVI norms kick in, Ford could equip the Endeavour with one of these motors. We’ll bring you more updates once there is an official announcement. Until then, stay tuned.